Designed with the modern home and business in mind, the Swing & Slide Door is a versatile system that works perfectly for the home, office or restaurant setting. 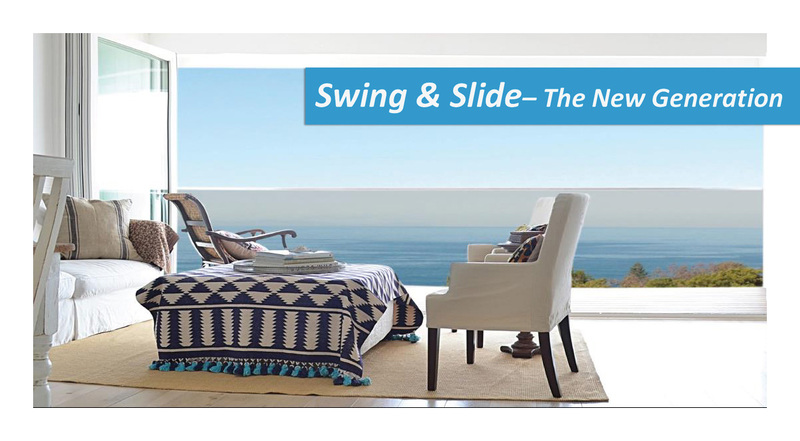 Big open spaces are accentuated with the Swing & Slide Door. Because of hinge-less system with free floating panels, you control the opening to fit your needs. We stripped away all the constraints inherent to the ‘hinged’ systems. Because we do not have panel-to-panel hinges, you get to choose how your door opens. 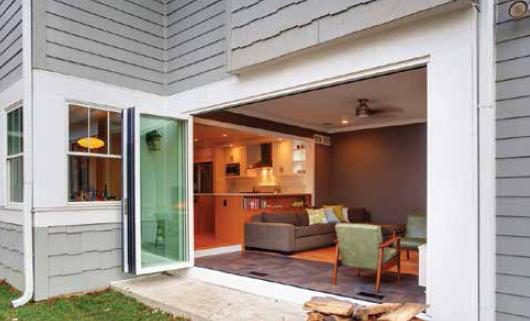 With the Swing & Slide Door, you can get to decide how many panels are opened or closed at any one time. The Innovative Swing & Slide Door is a hinge-less design compared to the traditional folding door – all the panels are moving independently. Therefore, you have the freedom to decide how many panels you want to open at any given position. Want to Submit your Project for Evaluation/Quote ?